Guinea international Abdoul 'Razza' Camara has been forced to quit football due to a heart condition. The 28-year-old former Derby County player has been advised to stop playing with immediate effect. "I cannot go on because I'm at risk of cardiac arrest or dying on the pitch like a lot of other players," he told French website footmercato. 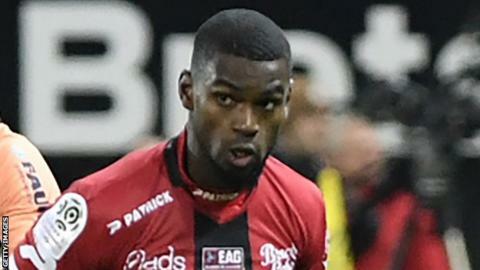 Last month his French club Guingamp announced that he would not play for the club again, due to medical reasons. "We have to move on, even if it's hard to accept" Camara said. "I've been waiting for the news for three weeks. I tried to stay strong just in case. "Since I was 13, my life is football. I had struggled to come back after my cruciate ligament injury. And there, you are told that you will never wear a football shirt again. "We can say that it is an evil for a good. But I have not yet digested this. You can not digest that fast. I need time. "Yes, it's not like an injury where you can fight back. With this I can not do anything. Everything falls apart at that moment." When Guingamp announced he was leaving the management said it would continue to provide support for the player. "The club helps me in many ways. They are there for me," he added. "The president [Bertand Desplat] is really there to support me. He is close to me. If I need him or the club, I know they will be there." Camara is already looking to the future. "Right now, I want to discover other sides of football. I have former coaches who have spoken to. Former club presidents have called me too," he said. "Maybe I'll go by their side to learn, and one day I'll really know what I want to do." Camara played 26 games and scored just once during his time at Derby, netting in the FA Cup fourth round replay defeat to Leicester in the 2015-16 season. The much-travelled and vastly experienced Camara has previously played for French outfits Rennes and Sochaux, Greek club PAOK and Spanish side Mallorca. Camara began his professional career in France and represented them at under-17, under-18 and under-21 level. He opted to play for Guinea as a senior international and featured 16 times for his country of birth, scoring four goals.